After winning the United States Touring Car Championship’s TC Class in 2017, Prima Racing set its sights on returning to the SCCA’s National Championship event; the Runoffs. “With Runoffs being held at Sonoma Raceway, it seemed like a good idea to throw our hat in the ring and see if we can win another championship,” Principal and driver, Andrie Hartanto commented. 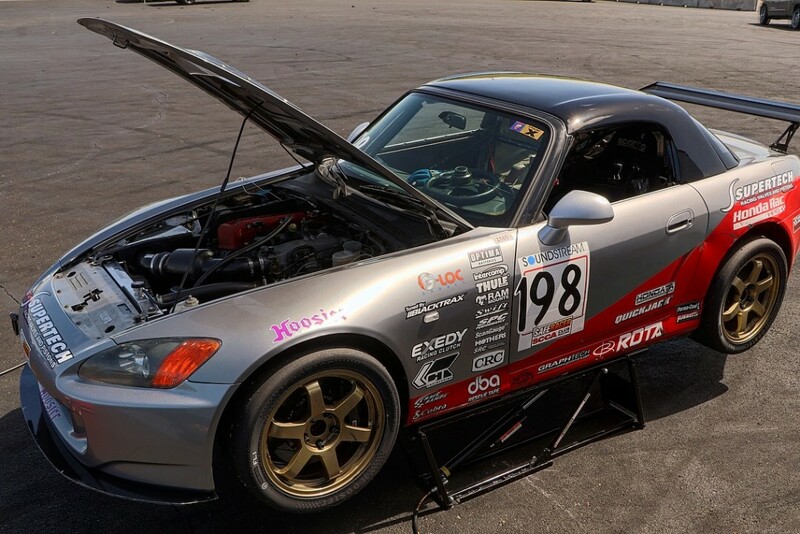 Prima Racing is no stranger to the SCCA National Championship Runoffs event; in 2014 Andrie Hartanto and Prima Racing captured the STU championship at Laguna Seca with his Honda S2000. In 2016, the team once again qualified for the prestigious event with their Acura Integra in STL at Mid-Ohio. In 2016, technical issues robbed the team of challenging for the win. 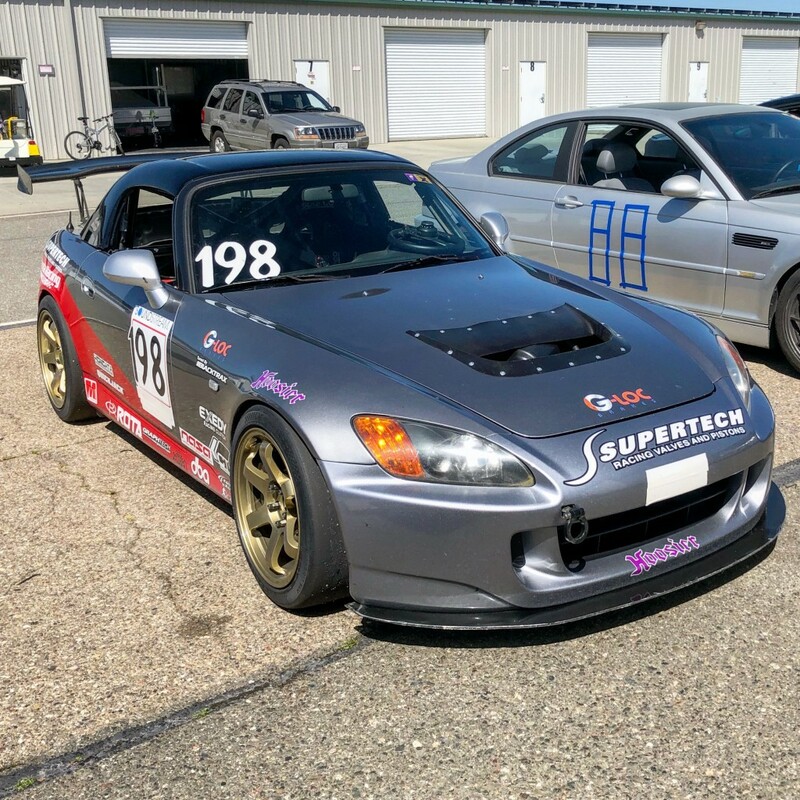 Kicking off their 2018 Runoffs-qualifying campaign in STU once again in a Honda S2000, the team entered its first reach of the season at the SCCA Majors Tour event at Thunderhill Raceway. After a hard-fought 2017 season, filled with numerous races and track days, the team’s S2000 had developed a sporadically recurring issue of unpredictable failures to the ABS (anti-lock brake) system. After numerous fixes, the problem presented itself on a more permanent basis. After extensive troubleshooting, the issue remained unresolved. Knowing that Andrie would likely be prohibited from extreme braking, the team took a cautious approach heading into the weekend. Saturday’s qualifying got off to a tricky start as Hartanto came to grips with the unpredictability of the braking. Despite the challenge, Hartanto still managed to earn the team its first pole position for the race. At the start of the race, Hartanto dropped back to 2nd place, being passed by Rylan Hazelton in a Honda S2000, whom Hartanto battled with during the 2014 Runoffs. Within the chaos of multiple classes fighting for position at the start, Hartanto allowed himself to gain space before launching an attack. By Turn 2, Hartanto had begun to gain ground and by Turn 3, he was along the outside of Hazelton, which allowed for Hartanto to establish the inside line for the transition into Turn 4. After passing Hazelton, Hartanto began to work his way through the higher-classes cars, passing many of them in the same fashion. “After the first few laps, I don’t think there were any major concerns for locking up. Even so, I was taking it easy and executing passes in areas that didn’t require me to simply out-brake the other cars,” Hartanto explained. “If I had just a little more practice with the brakes, or if things were working in a more ideal fashion, I think we could have challenged for the overall win today,” Hartanto commented with a rueful smile. Nevertheless, Hartanto finished in fourth overall, climbing up from his starting position four spots behind. His performance earned him and the team a commanding victory in the STU class as well. On Sunday, Hartanto swapped cars with Tom Lepper, thus getting behind the wheel of a 1997 Honda Civic to compete in the STL class. Doing so would allow for both Lepper and Hartanto to work towards qualifying in both classes for the Runoffs. In qualifying, Hartanto quickly climbed to the top of the STL class in the Civic. Despite having not been behind the wheel of a front-wheel-drive car in years, Hartanto wasted no time in getting back up to speed. In the race, Hartanto ran even faster, punching well above his weight with the Civic. Throughout the balance of the race, Hartanto appeared to be on pace to put in another stunning performance, but with a handful of laps remaining the car began to misfire. Further complicating his efforts was a muffler that had become loose and was at risk of potentially breaking. As a result, Hartanto’s pace diminished and he found himself fighting to maintain his lead against Tim Auger’s Acura Integra, who was making a hard charge for the lead. In the end Hartanto mounted a solid defense and pushed hard to retain his lead, thus earning another win. “It’s a great feeling to come away with two wins in two classes, but to always want to perform even better. There’s still plenty of work to do if we want to seriously contend, but thus is a great start!” Hartanto said as they closed out the weekend. 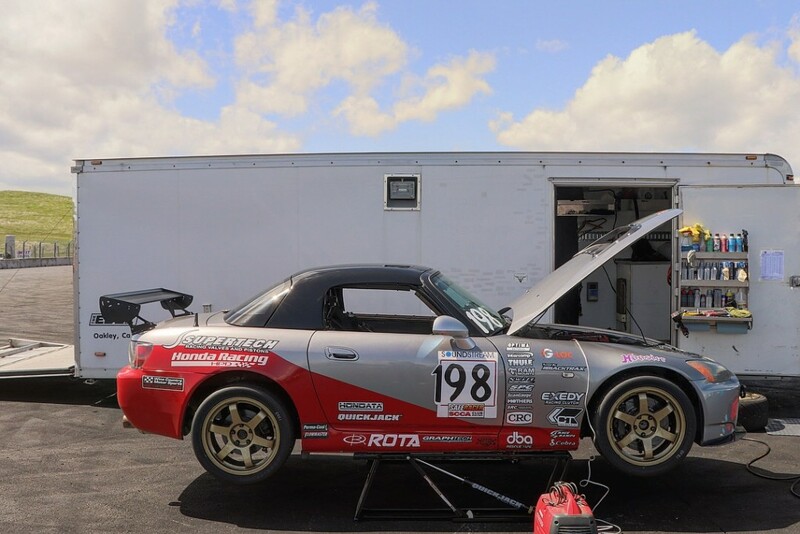 In the following week, the team experienced another setback during their bid to qualify for the NASA Championships at the Circuit of the Americas in the competitive ST4 class. During the opening lap of qualifying, Michael Ostby experienced an engine failure, thus forcing the team to forfeit the weekend. With the engine failure, the team was forced to pack up early and prepare for the long weekend ahead. “It’s disappointing. This is extremely poor timing, however I don’t imagine most people wake up in the morning and say ‘I think I want to blow up my engine today,’ but it is what it is. That engine has been through an awful lot in one season, so we assumed it would only be a matter of time,” Ostby remarked. With the lack of running in either the Saturday or Sunday race, it means that the team will need to fully participate in the remaining three race weekends in order to qualify for the championship event. 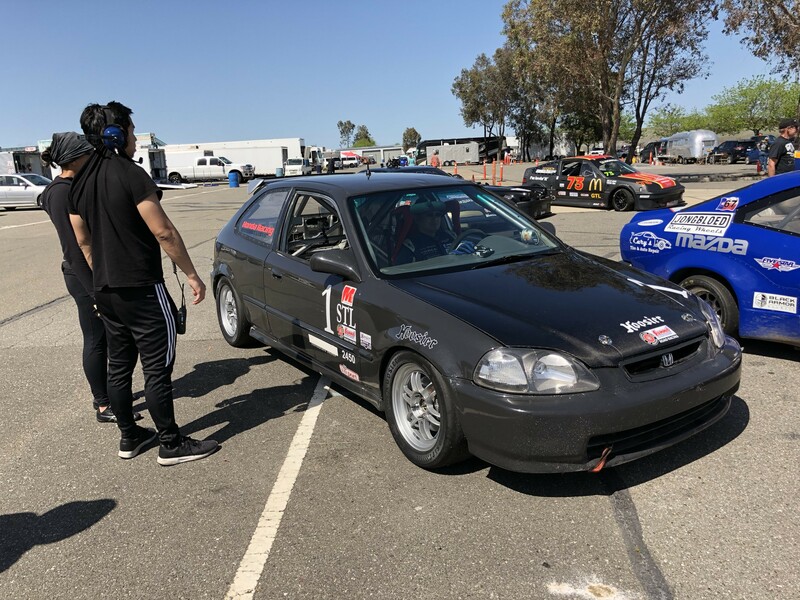 This past weekend saw the team conduct an all-hands effort to successfully swap in a new engine, plus address other issues in anticipation for this upcoming weekend’s SCCA Majors Tour event at Buttonwillow Raceway. “We’ve put in a lot of work over the past weekend to get us to this point. I’m excited to see how the new engine is and I’m hoping for some good results this weekend,” Hartanto said leading up to final weekend in April. Prima Racing team would like thank its sponsors for the 2018 season; Supertech Performance,QuickJack Portable Jacks, Rota Wheels, G-LOC Brakes, CT Engineering, Hondata, Exedy USA, Wicked Tuning, BlackTrax Performance and Graphtech.